Dr. Aries Cobb, Senior Psychometrician at Educational Assistive Technology INC.
Dr. Aries Cobb, expert, is a well-known author, which publications include a book, book chapter, refereed -national level journals state-district level standards, Distance Ed. modules, PD training in 21st Century Learning, e-portfolio action research & articles for teaching professionals about teaching strategies enhancing tech- based. Dr. Aries Cobb, scholar, has completed her ed. experience at top universities including Kent State University, Cleveland State University, & Nova Southeastern University. Dr. Aries Cobb a Senior Psychometrician that provides high-quality research study in psychometric methods, measurement, principles test design, & validation with 8 years direct experience in the construction maintenance & validation of tests for medical & ed. institutions. Dr. Aries Cobb is the lead Psychometrician at Educational Assistive Technology INC. Dr. Aries Cobb provides test maintenance, test construction, validation, data analysis & program evaluation for ed. & behavioral health professionals. Dr. Aries Cobb, an author, of a book, books chapters, scholarly & national journal articles. Dr. Aries Cobb is the lead researcher and writer for grant funded programs for over 10 years or more with budgets of at least $400,000. 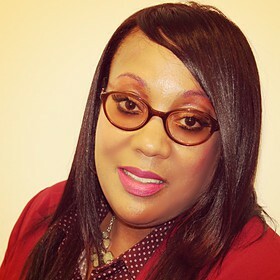 Dr. Aries Cobb is a leader & professional in all aspects of her career. Dr. Aries Cobb experience in program evaluation includes working as the Principal Investigator for Enhancing Education Through Technology (EETT) with the Cleveland Metropolitan School District (CMSD), Grant Manager of Bridging the Gap at Nathan Hale Middle School, & the Advising Mentor for program evaluation of the Accelerated Reader Initiative at Empire Compu-Tech School in the Summer Scholarship Program at Baldwin Wallace University. Dr. Aries Cobb's uses research-based skills to increase student achievement in the urban context. Aries Cobb has worked with top leaders in the field of ed., behavioral health, telehealth. Aries Cobb, faculty at CSU, is a leader in the field of psychometrics, AT (assistive technology, adaptive equipment, telehealth, educational tech initiatives. Dr. Aries Cobb is self-motivated and highly recommended for her research studies. Dr. Aries Cobb has published & presented PD on the following topics Assistive Tech, Technology-based Cooperative Learning, Differentiated Instruction, e-Portfolio, Distance Education, eLearning, Psychometrics, Behavioral Health & Developmental Disabilities. Dr. Aries Cobb completed NSU Doctorate in ITDE and the NSU NABSE Fellowship Psychology -Psychometrics.